Photos courtesy Escondido Police Dept. Two preteen brothers from Escondido who disappeared from their home and remained missing for about seven hours, prompting an intensive law enforcement search, were found safe in Oceanside Tuesday afternoon. 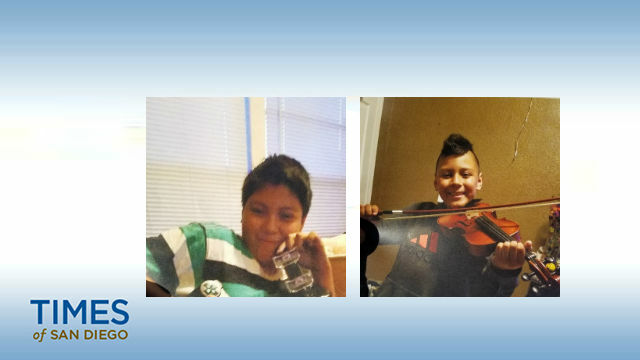 Daniel Cisneros, 11, and Zackariah Valdez, 9, were discovered missing by their mother about 6:30 a.m., according to police. She had last seen them at their residence in a mobile home park in the 1500 block of West Valley Parkway about 10 p.m. Monday, Escondido Police Lt. Scott Walters said. Officers searched the boys’ neighborhood and surrounding areas by ground and aboard a patrol helicopter through the morning and into the early afternoon. eventually locating surveillance-camera footage showing the apparent runaways getting off a Sprinter train at Oceanside Transit Station. Authorities found the boys in the coastal city about 1:30 p.m. The youngsters, who were in good condition, had left home of their own accord, according to police.